The Deoband movement—a revivalist movement within Sunni Islam that quickly spread from colonial India to Pakistan, Afghanistan, Bangladesh, and even the United Kingdom and South Africa—has been poorly understood and sometimes feared. Despite being one of the most influential Muslim revivalist movements of the last two centuries, Deoband’s connections to the Taliban have dominated the attention it has received from scholars and policy-makers alike. 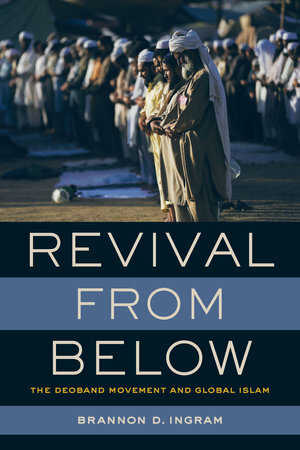 Revival from Below offers an important corrective, reorienting our understanding of Deoband around its global reach, which has profoundly shaped the movement’s history. In particular, the author tracks the origins of Deoband’s controversial critique of Sufism, how this critique travelled through Deobandi networks to South Africa, as well as the movement’s efforts to keep traditionally educated Islamic scholars (`ulama) at the center of Muslim public life. The result is a nuanced account of this global religious network that argues we cannot fully understand Deoband without understanding the complex modalities through which it spread beyond South Asia. Brannon D. Ingram is Assistant Professor in the Department of Religious Studies at Northwestern University. 5. What Does a Tradition Feel Like?